Here at Berry Good Farms, we are tremendously grateful for the business partners who have helped us establish our roots in the community. They say many hands make light work, and while there is always plenty for our students to do around the farm, we wouldn’t be where we are without generous support from The Boeing Company Florida, Uptown Civitan, Robbins Nest Fund, Red Coat Charities, Deerwood Rotary Charities, Inc., Hydrolec, Inc., the Thomas M. Kirbo and Irene B. Kirbo Charitable Foundation, and the Nona J. Rawls & H. Taylor Jones Foundation. Thank you for the sunlight, water and love that you pour into our students and our farm. 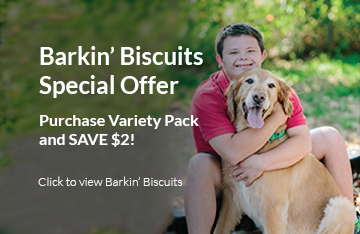 Do you know about these Barkin’ Biscuits partners? Along with an assortment of caterers, florists, and restaurants that support Berry Good Farms in purchasing our products, these aforementioned retail partners order and receive deliveries from us every week from wheatgrass to fresh produce to Barkin’ Biscuits.